Humanity can rest easy today, for news has come that reminds us of our place at the top of the evolutionary scale. Aliens from the planet Melmac may indeed have developed technology that allows them to travel between worlds, but they apparently haven’t mastered the ability to secure a network pilot pickup. 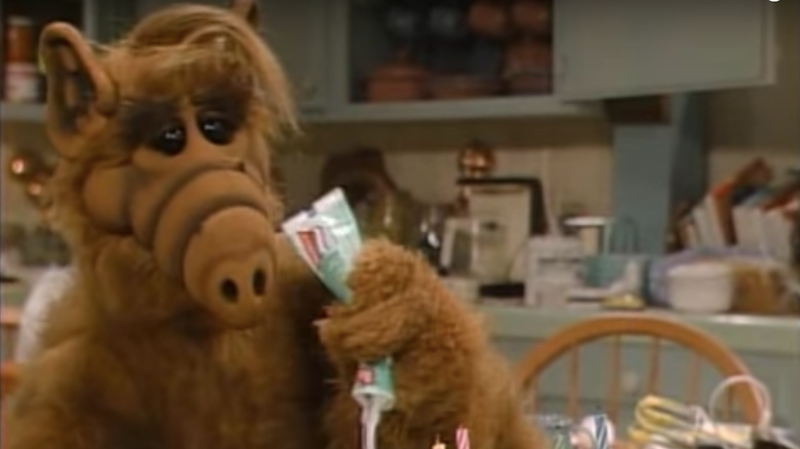 That’s the word from TVLine, which reports the proposed reboot of the old NBC series ALF, about an alien crash-landing on earth and hiding out with a suburban family, is dead for the time being, after “failing to attract a suitor.” The obvious reason for said failure—that no network exec in their right mind wants a new iteration of a weirdly sexual low-tech puppet wandering around making puns about eating cats—is left unsaid, but let’s go ahead and assume that’s the cause of the show not moving forward. All you fans of Gordon Shumway (ALF’s real name, lest we forget) will just have to content yourselves with the end of the character’s story as we know it from the 1996 made-for-TV movie Project ALF, in which the alien (familiar with interstellar travel yet bearing a personality roughly akin to Rodney Dangerfield) defeats both Martin Sheen and Miguel Ferrer en route to becoming an official ambassador to earth. Or you could just rewatch that pretty great episode of Mr. Robot from season two. That’s probably the best use of ALF we’ll see in our lifetimes.